Once you decide to go green it’s going to affect almost every aspect of your life. 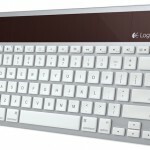 This includes various gadgets for home or entertainment. Gadgets may consume a great part of resources like batteries and electricity so going green means either reducing the number of gadgets we use or better yet the amount of resources that those gadgets consume. Here we gathered eight green gadgets that you can buy today and that will help you stay eco-friendly whether you’re going camping or work from home using your Mac. If you love reading, and don’t mind e-books, the first solar Kindle cover designed by SolarFocus who won an Innovation Award at CES 2012 for it will power your Kindle reader night and day. A built-in solar panel in the cover charges from direct sunlight, one hour of which will provide you with three days of reading. This amazing cover costs only $49.95 online. Another gadget that employs solar power is actually a charger for your other gadgets. XD Design created a solar charger that looks stylish and cool. 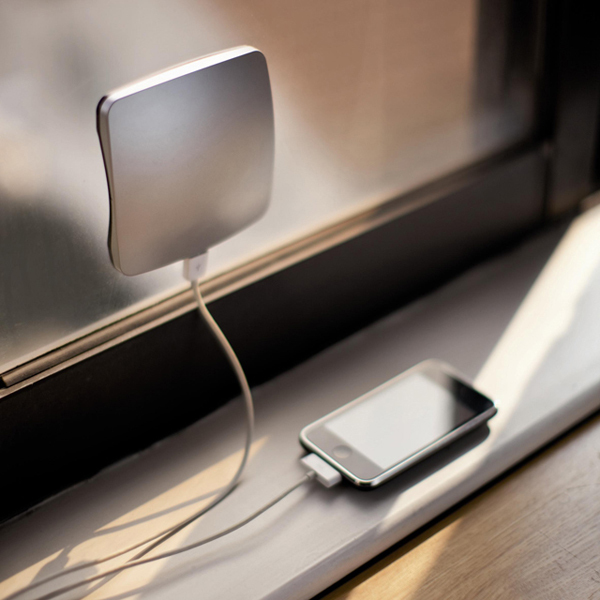 The charger is attached to the window where it harvests solar power, while a small cable connects the gadgets to it. It is available online for 49,95 € (around $64,2). The next great charger in our list is powered by…you. Or rather the electricity you produce while moving. nPowerPEG can be carried around in a bag or a rucksack and while you’re running errands it collects and stores kinetic energy that you can later use to power up your handheld gadgets like phone, player, GPS on the go. This one will cost you $129.95. 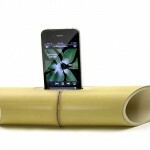 Looking for a green speaker for your iPhone? Triangle Tree came up with a cool green idea for that – bamboo. 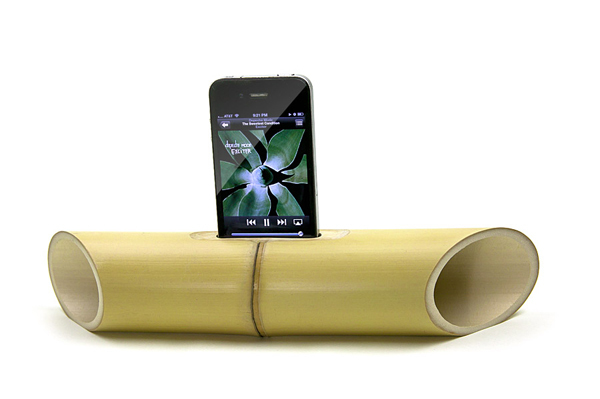 A piece of this plant is as sturdy as wood and it’s hollow, which makes it perfect for amplifying sound in a totally green way. If you like camping the next gadget in the list can be quite useful for providing comfort in a green way. 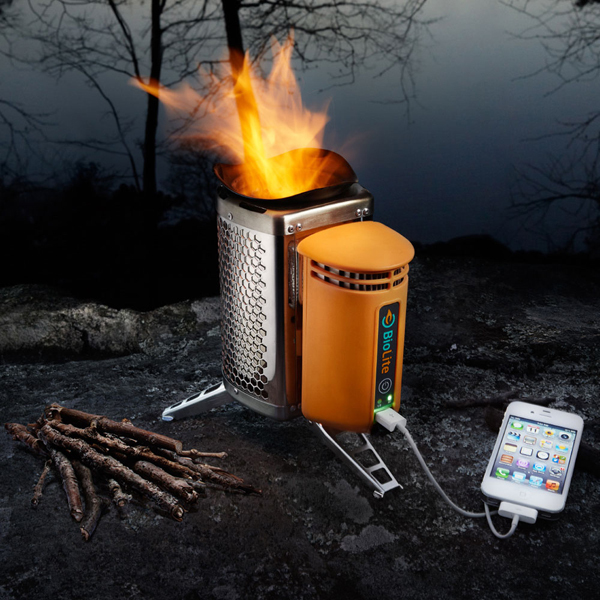 The Biolite camp stove is powered by burning wood but the energy waste it produces is converted into electricity, which can be used to power a phone, a USB radio or a LED lamp. 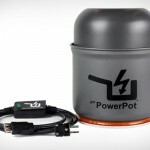 PowerPot was born out of the same idea. 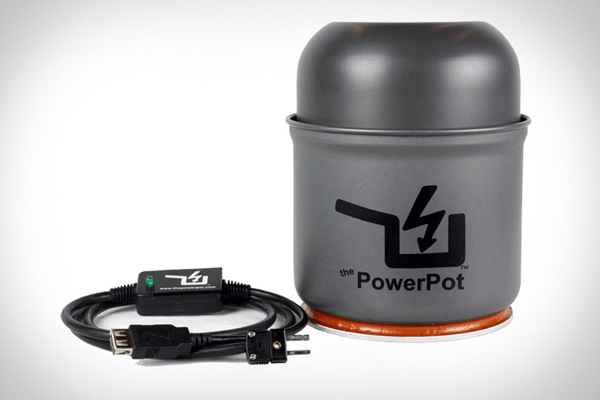 Placed on a heat source the PowerPot will create energy to power your other small gadgets (camera, GPS, phone, iPod, speakers and others). Biolite comes at $129.95 while PowerPot costs $149. 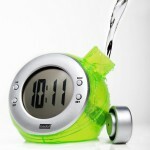 Want a clock that doesn’t require batteries to work? 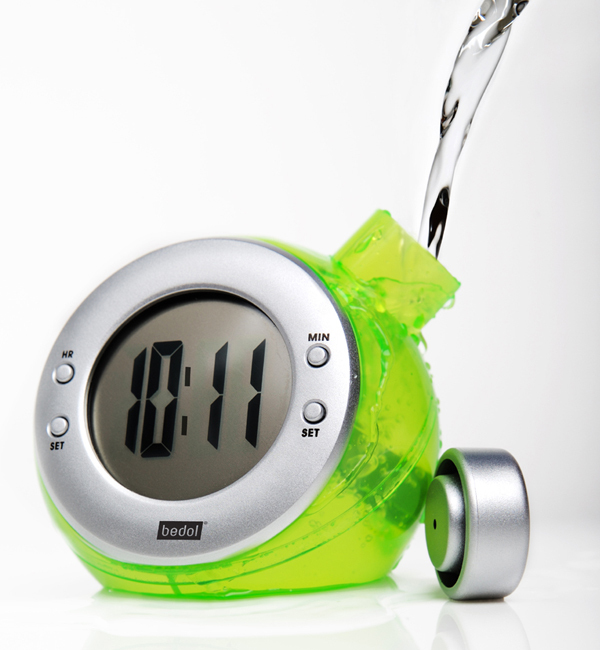 A $19 water-powered clock from Bedol might just be the thing you need. Thanks to a built-in memory chip the clock will ‘remember’ time while you’re refilling it with tap water. Each refill will last from 8 to 12 weeks. 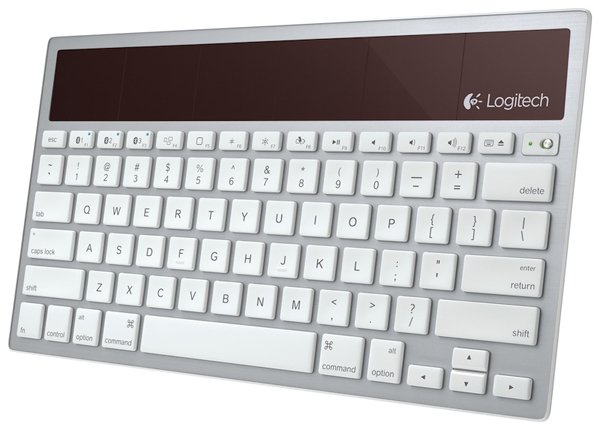 Logitech created an absolutely cool wireless solar-powered keyboard that runs on light. When fully charged it can work up to three months even during nights, the only downside is that it’s designed only for Mac, iPad and iPhone. These amazing little helpers can not only save some energy but also make your on-the-go life more convenient. Which one did you like the most?